Art Direction story exploring contrasting female traits & contradictions. Music video in collaboration with artist Finbar247 for New Jackson by David Kitt. 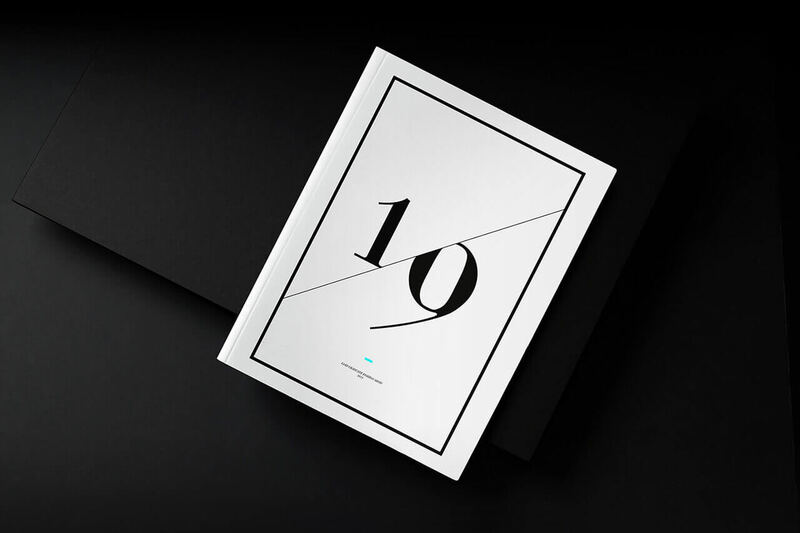 A limited edition magazine exploring the stories behind creativity. 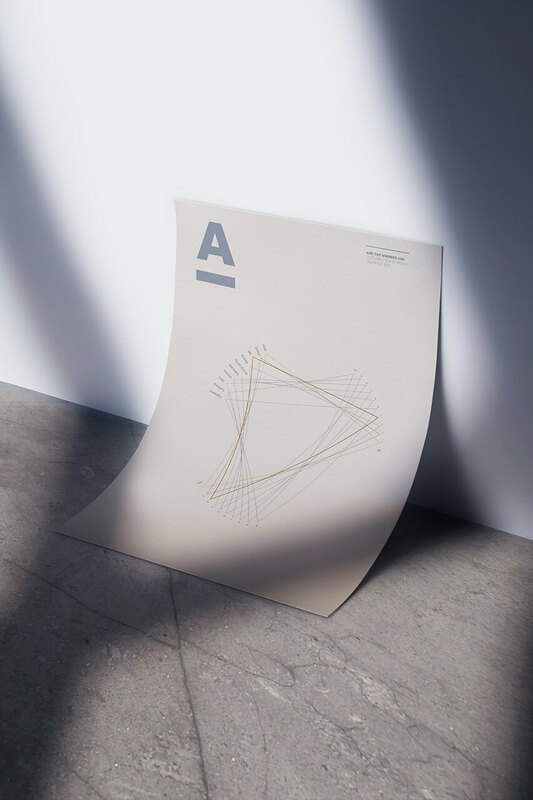 Art Direction & Branding commissioned by LSAD University for their Graduate Fashion Show. Interactive experience at Piccadilly Circus for the 2014 Burberry festive campaign. Book design for the ISTD awards 2013 on the life & story of Henrietta Lacks. 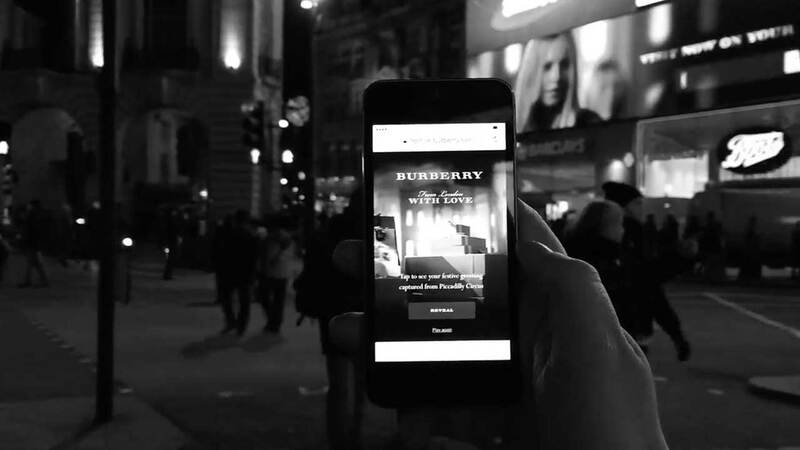 A digital experience by Burberry where users explore an artistic London. 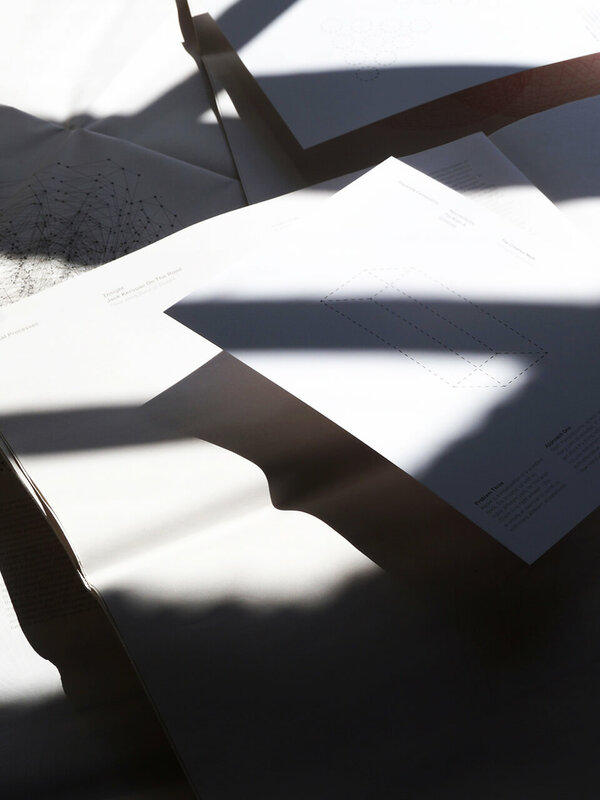 Abstract book design & illustrations based on the study of memory theory. Branding incorporating dual points of heritage. 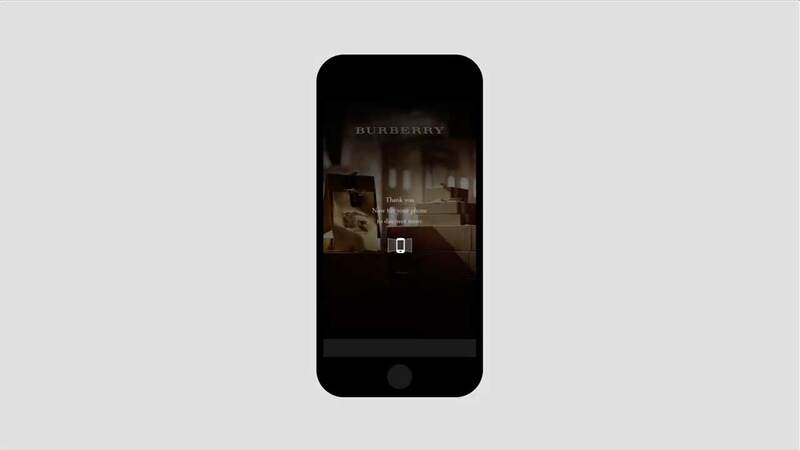 Interactive Apple iAd for Burberry’s 2015 launch of the Scarf Bar. A typographic study of creativity since the invention of the wheel. 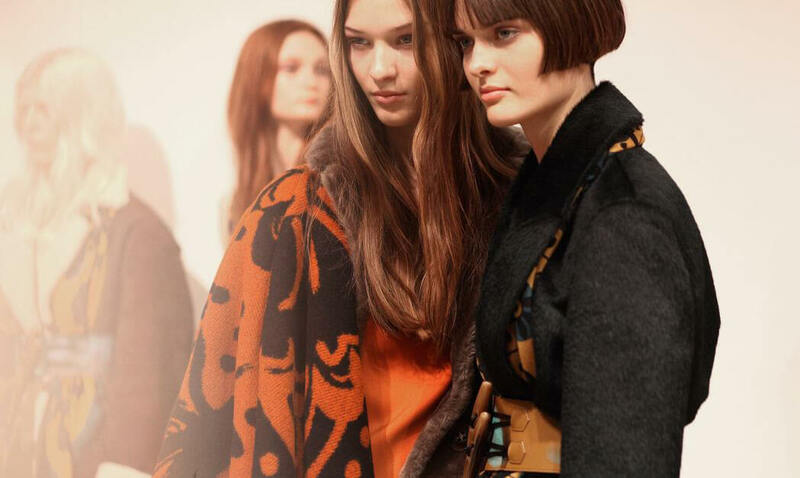 The first interactive access all areas London Fashion Week experience by Burberry. Infographics of the results of the 2012 Olympic games. Duplicity - The state of being double. 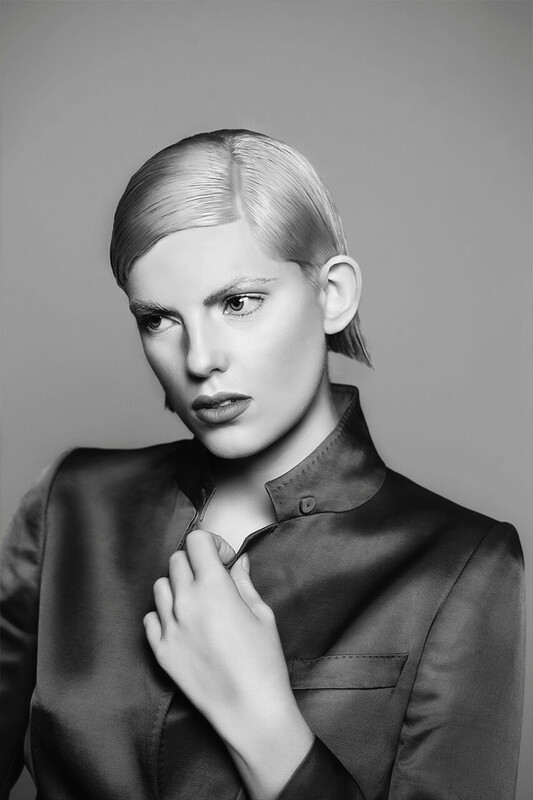 A photographic story capturing the contrasting facets of a woman reflected through personal style, attitude and mood for Niall Colgan Hairdressing. 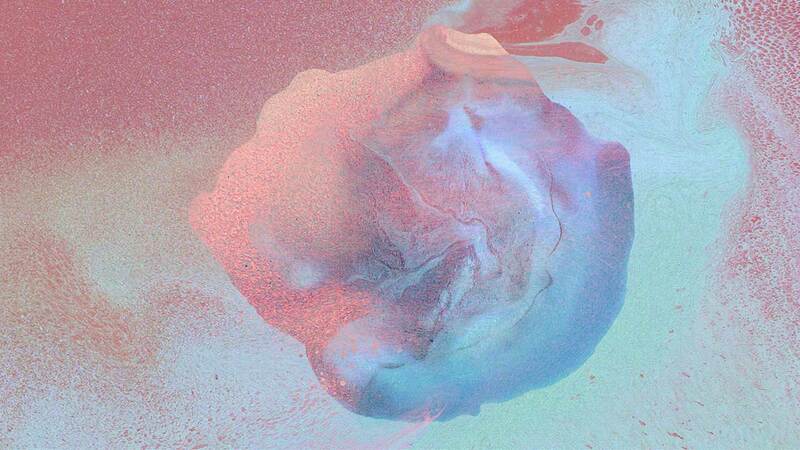 New Jackson is a project by Irish musician David Kitt. In collaboration with artist Finbar247, we created the music video for the single ‘Put the Love In It’ - a song inspired by the European club scene. 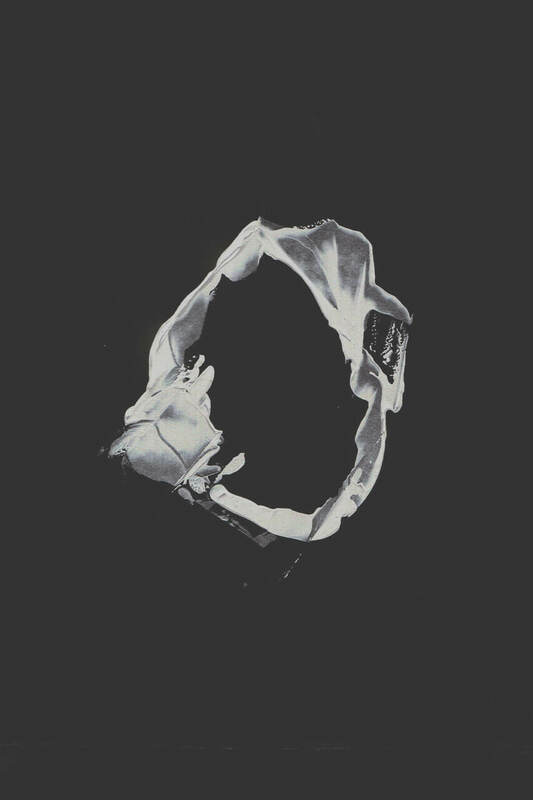 In a club in Berlin, David observed how the environment created a space where people exhibited no self-consciousness. How the music, dry ice, lights and atmosphere creates a place for people to release. As the song slowly builds - new instruments are added, creating layers on top of a consistent beat. We used these varying audio layers as the basis for all the visual compositions. Working in the same studio initially whilst concepting, we worked closely to visualise the proposition of the song. We envisaged each beat, instrument and note into a visual system of Finbar’s artwork - listening to the song to imagine what each note would look like if it were a drawing. We started with minimal colour and conservative line work. As the song builds - so too does the artwork. As the instruments become more expressive and bolder - so too does the colour, form, and brushstrokes. We broke the song into segments, and Finbar began the task of drawing each shape, beat and instrument in his expressive style. This culminated in over 500 drawings, each of which was a match to a different note in the song. This was a highly collaborative project - I would listen to each segment of the song and sketch how many times a certain instrument would feature, and how I felt that could look. I would then create a mood board for each instrument in the song, and send it to Finbar for him to create. We wanted there to be an element of surprise on both parts. To do this we purposefully worked remotely for the duration of production and shared files online so that we could finish what the other started. I couldn't see Finbar’s process of creating from the mood boards I supplied, and he couldn't see how I animated & manipulated his artwork. This continual sharing of work and not knowing what the other was creating was important as we wanted the creative process behind the video to be reflective of the theme of the video - no fixed plans or expectations, letting go of ownership of each others style and embracing the surprise of where it led us visually. 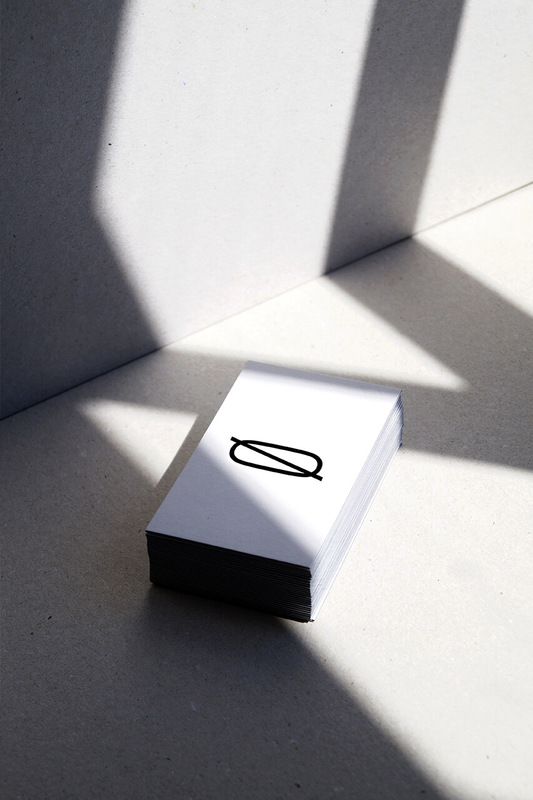 Disparate Connections is a personal project that started from a fascination on why people create. After reading numerous articles, studies and research on the topic, I wanted to create a limited edition magazine on stories across culture, science and commerce. These comprise of theories in neuroscience, time periods that were rich in creativity, environments that aid creativity, and stories behind some of the most famous creative works across music and literature. My Burberry is the iconic house owned fragrance launched by Burberry in 2015. Personalisation is at the heart of the My Burberry fragrance. People can apply their own, or loved ones initials directly onto the My Burberry bottle - with this in mind, we wanted to extend this personal touch to its digital applications. 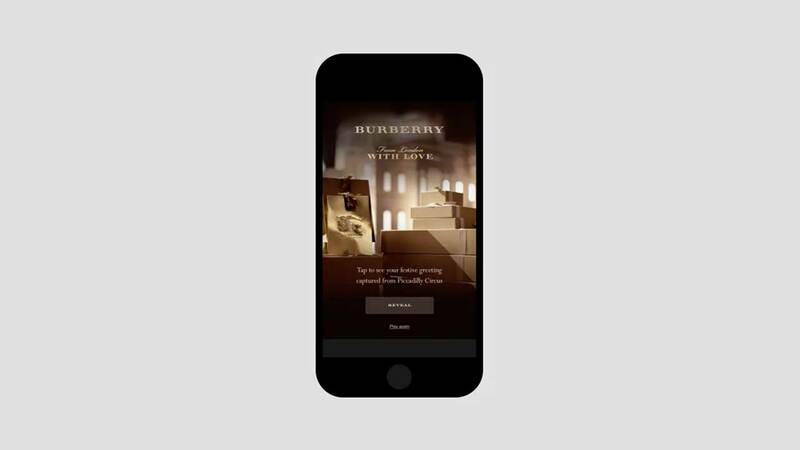 We developed the My Burberry Festive microsite to send customers a digital gift from Burberry, as well as allowing friends and loved ones the ability to send each other personal Christmas notes wrapped in a digital Burberry box. 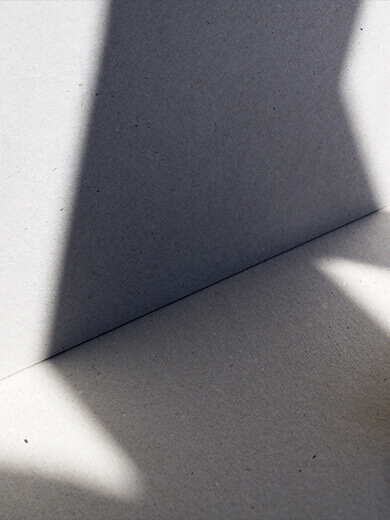 Linked from online ads and at point of sale - people were sent a digital Burberry box. 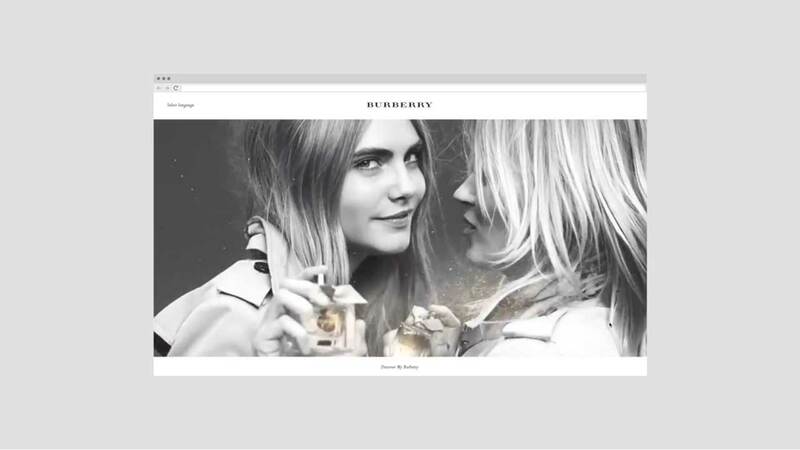 Upon moving their mouse or swiping their device, this would trigger the box to unwrap and reveal Kate Moss & Cara Delevingne in the official fragrance campaign, followed by a greeting and an interactive edition of the My Burberry festive bottle. For Christmas, Burberry created a limited edition collection of My Burberry bottles containing floating gold particles - we wanted to bring this to life online so we made it fully interactive. As you move your device or mouse, the particles float like a snow globe. Users are then asked if they would like to create their own greetings for loved ones. When their loved ones receives them, a Burberry box with their name on it would arrive in their inbox or through social media. This resulted in a cross platform series of festive greetings which were created and shared across the festive period. 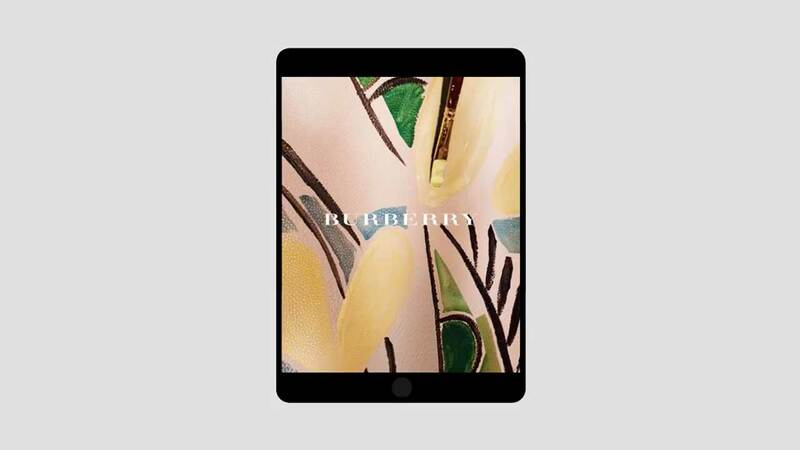 The Bloomsbury is an interactive HTML5 ad created as a playful nod to the Bloomsbury group who inspired Burberry’s AW14 collection. 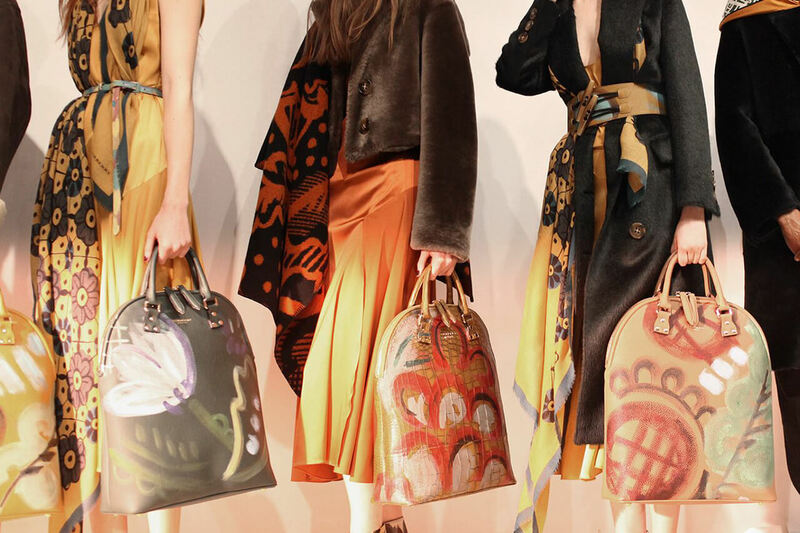 The collection comprised of hand painted accessories & fabrics reminiscent of the Bloomsbury Group. 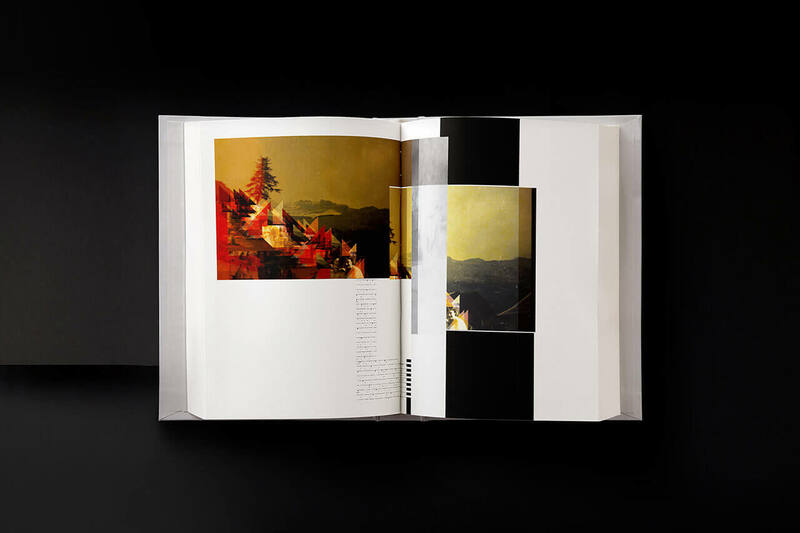 To extend this theme online, we developed a 'Paint the Collection' experience for digital devices. Opening the experience you're met with the iconic Bloomsbury Bag, once you touch it, it reveals another limited edition hand painted bag underneath. We created many layers for people to explore in this way by painting directly onto their device. Together with Louise O'Doherty and Magdalena Schiller-Saether, we created the 2013 identity for the LSAD University Graduate Fashion Show. To create the shows visual language, we used the two base tools available to fashion designers - fabric and the human form. For the show we developed the branding to sit on books, posters, invites and promotional material. 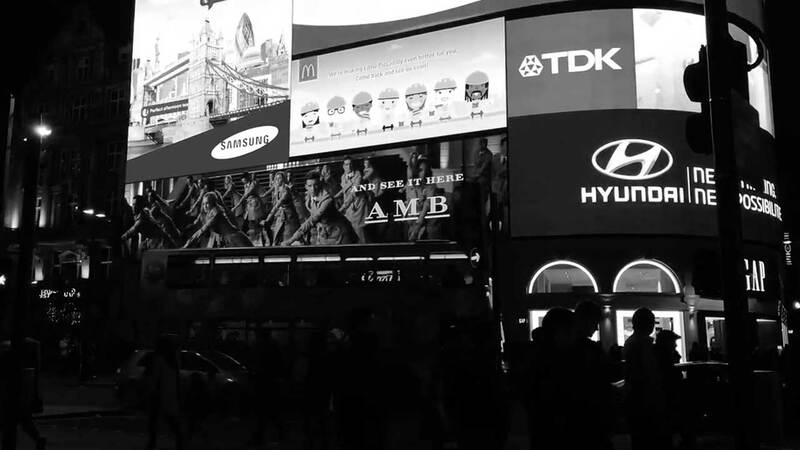 From London With Love, was a project created to allow passersby on London’s Piccadilly Circus the opportunity to be part of Burberry’s 2014 Festive Campaign. On screen, Burberrys Festive Campaign directed people to a micro-site we developed where people were asked to submit their initials. Once submitted, a countdown began on their device directing them to look up. The screen would suddenly transform as a Burberry box opened to reveal their initials. As the sequence played, we synced the campaign music to the users phone as they watched their name in lights. Once the message played out, each participant received a snapshot of the moment when their initials were on screen at Piccadilly Circus. Piccadilly Circus sits directly between Burberry’s flagship store on Regent street & The Beauty Box in Covent Garden. This unique location meant that we could extend the experience by connecting each user to either store through a 180 degree panorama. 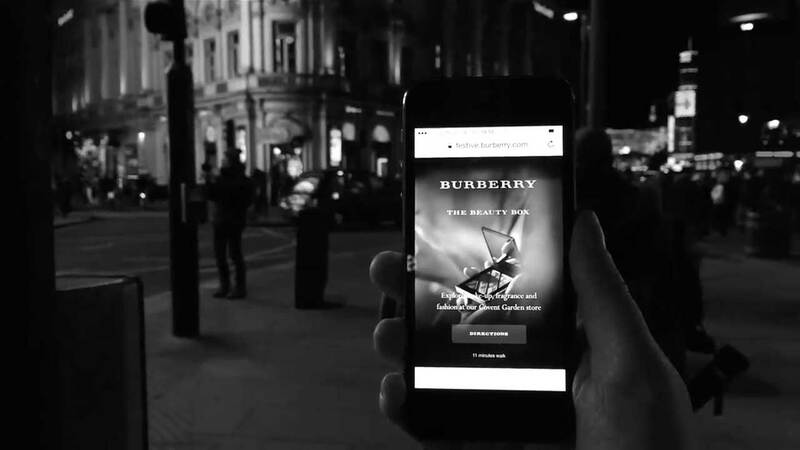 This meant that when the user moved their device left or right, the user could access directions to visit either of the Burberry stores. 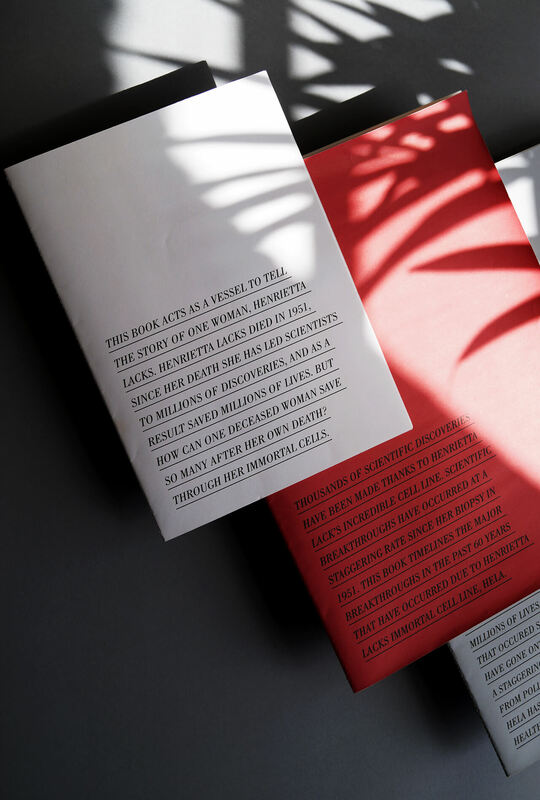 Created in response to the brief 'Unsung Heroes' set by the International society of Typographic Designers Awards in 2013, I chose to dedicate the project to Henrietta Lacks. In the 1950s, Henrietta Lacks was a patient in the John Hopkins Hospital in Maryland, USA. Whilst there, a cell sample was taken unknowingly from Lacks. This was common practice during the time as biological samples were often taken without knowledge or consent of patients. However, the sample taken from Lacks was different - its cells continued to divide outside of the human body. No other cell sample had ever done this. It became known as the (now famous) HeLa cell line. HeLa meant that scientists could use these live cells to test everything from vaccines, to new drugs, as well as examining the effect of viruses on human cells. It revolutionised science and led to some of the biggest scientific breakthroughs of the 20th century. However, these breakthroughs have a dark undertone, whilst pharmaceutical companies profited from the HeLa cell line, Henrietta Lacks died of cancer, and her surviving family lived in poverty for decades - they never received compensation. To tell this complex story, I divided the project into three sections - Henrietta’s story, the discoveries that resulted and the statistics of lives saved as a result of the HeLa cell line. Each element of the story increases in size and content proportionally to illustrate how this story escalated to a huge global scale starting from just one person. 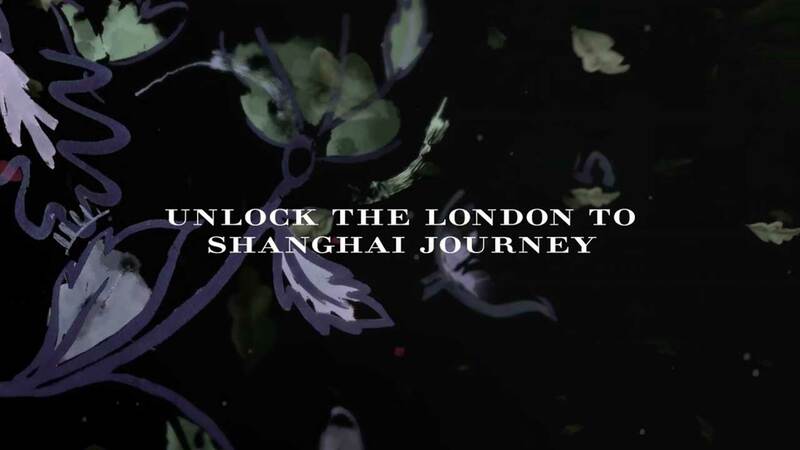 From London to Shanghai, is an interactive experience created to celebrate the launch of Burberry’s event London in Shanghai in 2014. Created in partnership with WeChat - Asia’s leading social media platform - we wanted to allow fans to experience the lead up to the show direct from their phones a night before the event launched. To achieve this, we developed the concept of travelling from London to Shanghai through an interactive WeChat experience. 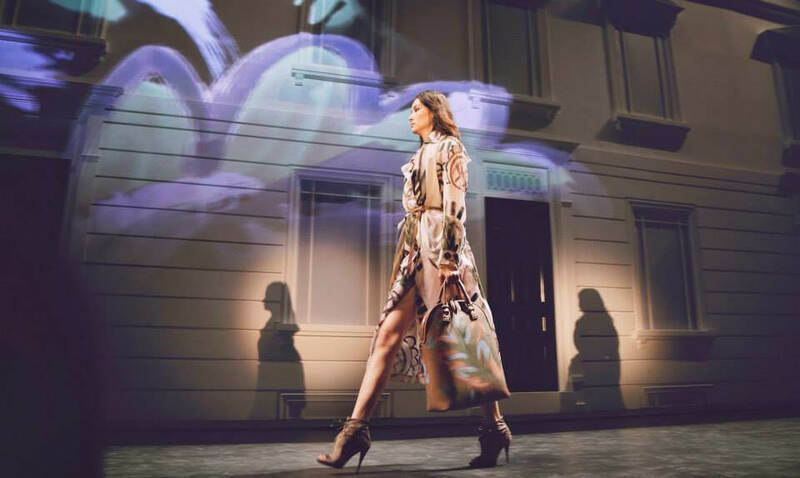 We incorporated the painterly Bloomsbury theme of the AW14 collection, by taking users on a tour across an artistic London through its iconic landmarks by swiping, tapping & shaking their device to reveal each stage of the story. At each stage, the user was prompted to interact to get to the next location, starting with swiping through the morning fog to reveal Big Ben, to tapping and creating ripples in the Thames at London Tower Bridge at dusk. The final step revealed London being transformed into the Shanghai skyline where users could shake their phone to see if they won a golden ticket to attend the show. I created this book as a personal project exploring memory concepts. Taking each theory; such as imagined memory, false memory syndrome, self perception memory and false recognition - I used them as the basis to create abstract illustrations. Each theory is illustrated using imagery from my family’s photo albums from before I was born. I grew up with these images which were the foundation of our families identity and collective memory - yet I didn’t experience them in real life, I falsely remember them through each of the memory concepts noted. Personal project exploring the notion of how glyphs in typography denote cultural reference points. My heritage is Irish/Norwegian - therefore I wanted to play with this duality through the glyphs specific to those languages that inform meaning dependent on cultural and social usage. 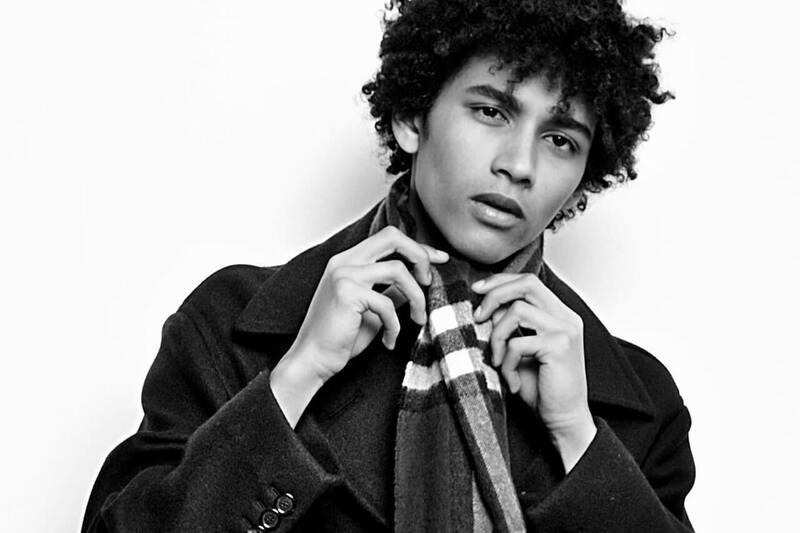 In 2015, Burberry launched Scarf Bar. An exclusive service which allowed customers to personalise the colour, fabric & add initials to the iconic Burberry scarf. 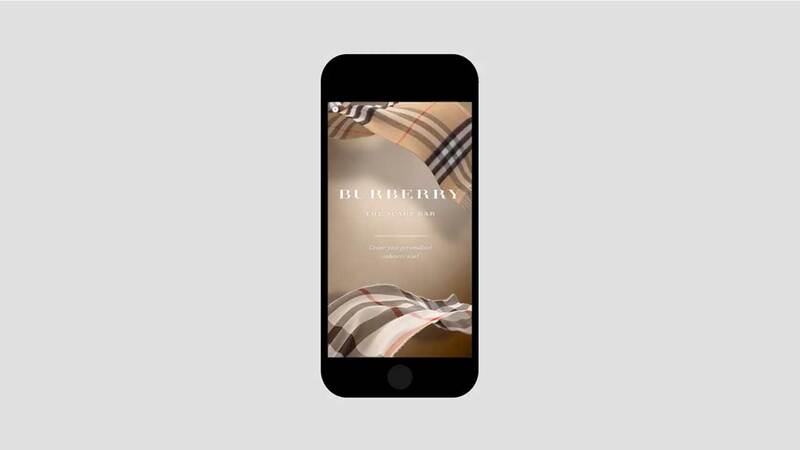 Burberry partnered with Apple to create the first in app luxury iAd where users could create a personalised scarf & purchase it on iPad & iPhone. The iAD we developed allowed people to select the fabric, colour and add their initials. They could then either save their design, order it or create numerous versions to share with friends and loved ones. This project is a development from Disparate Connections where I began a project studying human creativity. 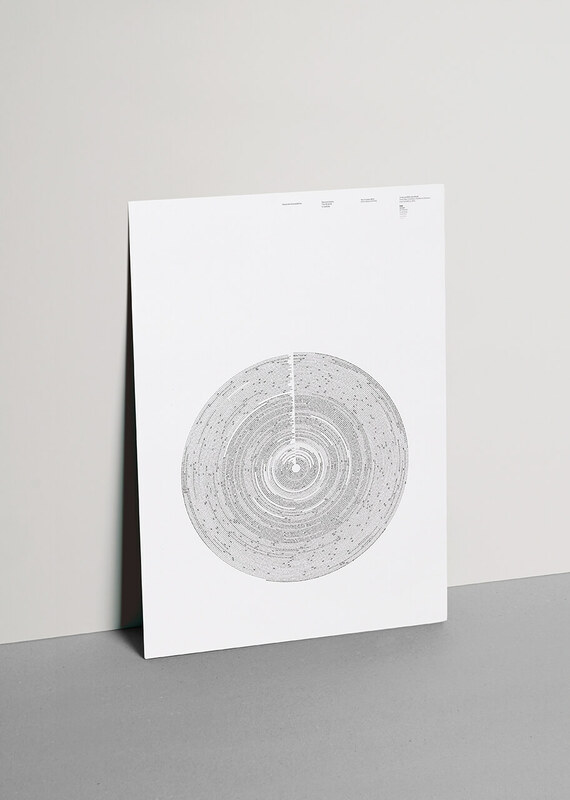 The Wheel is an infographic that documents every human innovation from 2340 BC to 2011. I arranged it by researching each major invention & discovery and highlighting their origins per continent by using a different shade of black to represent each. What this meant is that, when arranged in a radial context, the creations create a graded colour pattern of which continent was most innovative during different periods throughout history. Resulting in the varying shades of grey clusters communicating what continent was most prolific during each time period. 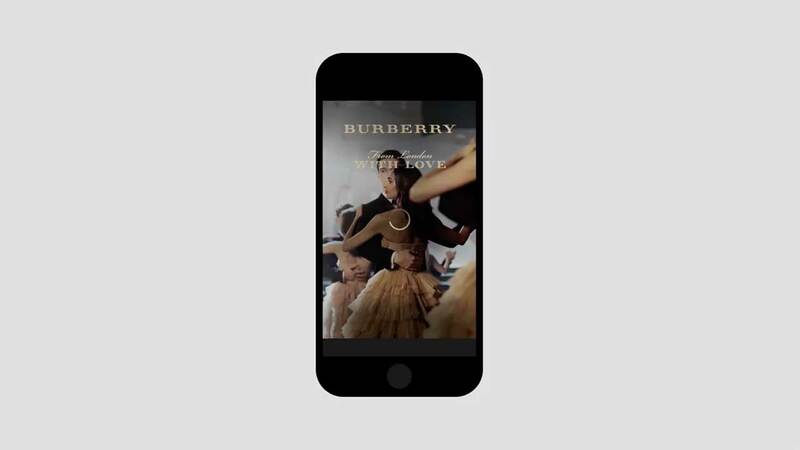 For the Autumn Winter 2014 show, Burberry partnered with social media platform WeChat to allow fans to interact with the show in a new way. We developed a content system that allowed users to input key words which unlocked exclusive imagery and content from the show. This included storytelling direct from the design team, inspiration and details on the collection, as well as key looks from the runway. As well as this, we allowed users the opportunity to follow specific VIPs to gain exclusive access to behind the scenes moments. This project is a visual celebration of the medals won during the 2012 Olympic games. The editorial comprises of infographics depicting different statistics from the games - the number of medals won by Great Britain in the last century, the percentage of medals won per continent in 2012, the top ten performing countries in 2012, and the total number of medals won by each country in 2012. The colour scheme was based on the olympic medals - gold, silver & bronze. Brett O’Mahony is a digital art director who works on personal and commissioned projects across a diverse range of mediums in music, fashion, commerce and culture. Her output ranges from concept creation, moving image, identities, books, magazines, photographic stories to websites and digital experiences. Apologies, this project is private. To view, please submit a password below. view private projects, please click here. To view public projects, please click here.